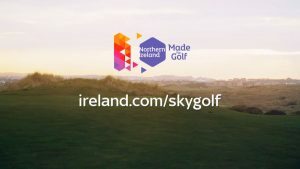 Tourism Ireland announced its partnership with Sky Media to inspire golfers in Great Britain to visit Northern Ireland. The campaign will use highly engaging video interviews featuring 2011 Open winner, Darren Clarke, to encourage viewers to enter a competition to win four tickets to The 148th Open, Royal Portrush on Saturday 20th July, including flights, car hire and three nights’ accommodation. Sky Sports’ BAFTA-winning golf production team have created three videos which bring Darren Clarke’s story to life for the upcoming Open. The videos will be seeded out through articles on SkySports.com and accompanied by a 30″ competition copy to be promoted through Sky Advance as video pre-roll linking to the Tourism Ireland competition Hub. The campaign will target the three million golfers in Great Britain who regularly play the sport to entice them to travel for golf. 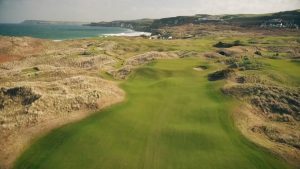 Sky Media is a natural fit for Tourism Ireland as Sky Sports is the home of golf, broadcasting weekly from the European Tour and the PGA Tour. It is the only media owner to cover all four Majors. Sky Media is working with OMD for the campaign which will run from 11th March to 31st March.